I recently rediscovered a valuable resource in the local studies collection – a promotional booklet published by the Wagga Wagga Express in 1926. 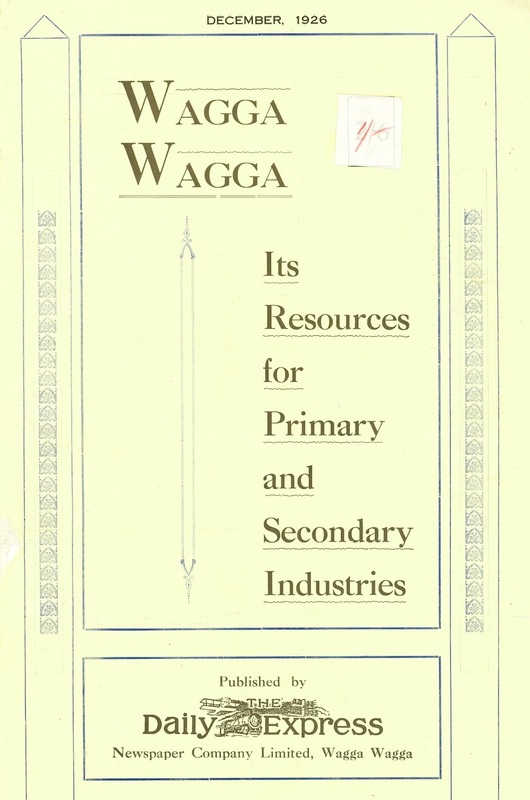 It's title is suitably and unnecessarily long : "Wagga Wagga Its Resources for Primary and Secondary Industries". In broadsheet form, it contains what we might now call advertorials; also stories, photographs, statistics about businesses, utilities, the early history of Wagga Wagga, industries in the town and region – in short an excellent reference on the place and time of 1926. Farming, stock sales, education, flour milling, parks and gardens: nearly every aspect of (respectable) town life you could think of is written about. 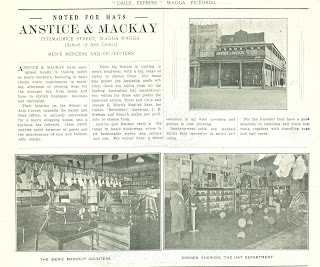 A couple of my favourite stories include the Riverina Fruit and Confectionery Distributors Wallace & Co., illustrated with a delightful photograph of a stockroom filled with boxes and boxes of delicious sweets stacked to the ceiling. 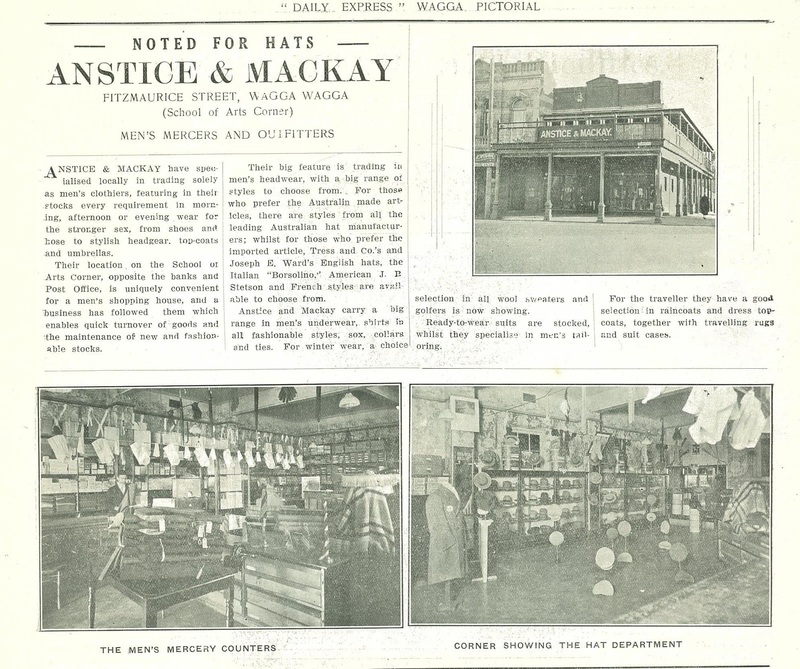 The other story is of Anstice and Mackay – “Noted for Hats” – which was a business situated, in 1926, on the School of Arts corner, in Fitzmaurice Street. My favourite photograph is of the Hat Department display. As with all items in the local studies collection, you are very welcome to come into the library and look at the different resources and discover how they may help you in your research - ask at the information desk! Oh I do like a good hat, so I do. It sounds a marvelous resource. I found your post through Geniaus" GAGs post.